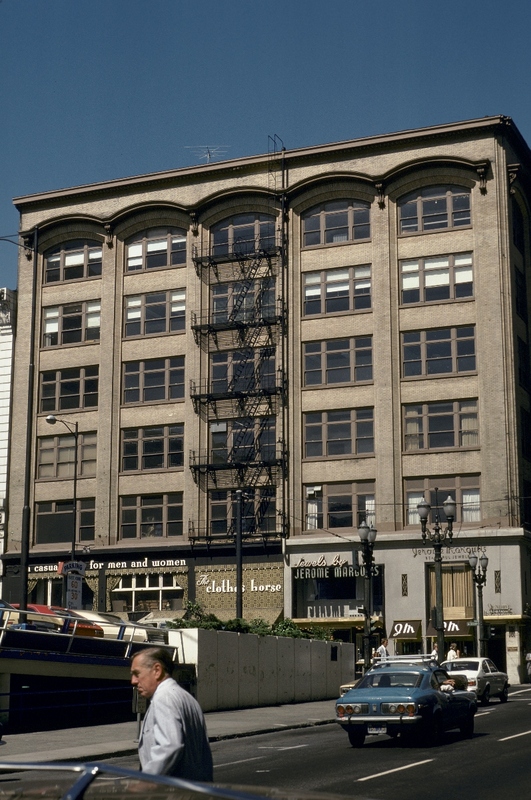 Sitting next to the Orpheum Theater on SW Broadway between Morrison and Yamhill was the Royal Building. Jerome Margulis continued to do business in 1976 even as the building was demolished around him. 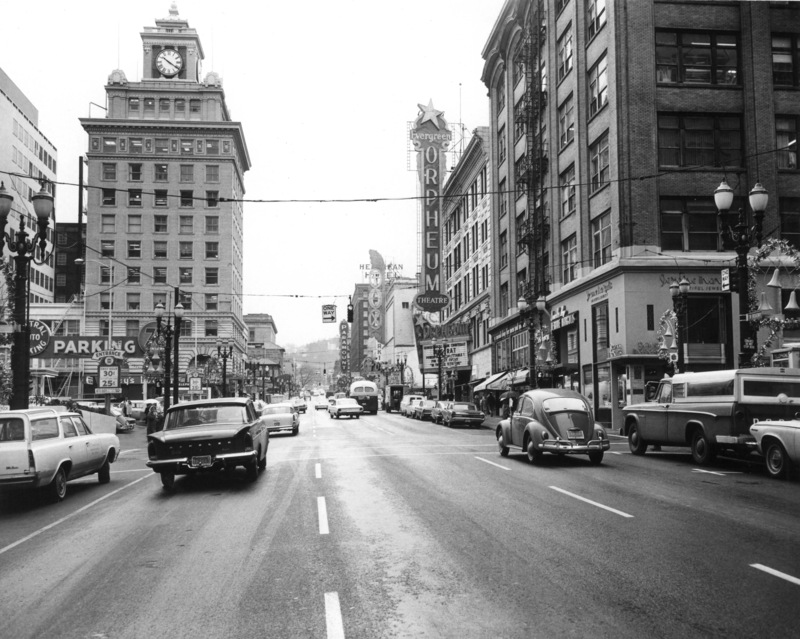 Today you would be looking at the Starbucks at Pioneer Courthouse Square in the foreground, and the Nordstrom building sitting where the Royal once was.